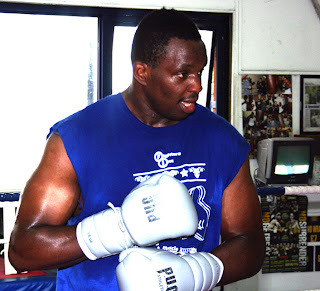 Heavyweight prospect, Dillian 'The Villian' Whyte, recently confirmed that he will be fighting veteran British Heavyweight, John McDermott, at the end of the year, in London, for the English Heavyweight title. Whyte is scheduled to have two bouts before his battle with McDermott, presuming he wins those two fights, he will go into the fight against McDermott with a record of 9-0. Whyte's inexperience is the exact reason why I'm calling this a 50/50 fight. Youth and speed is with Whyte, but McDermott has fought and beat the much better opposition. Whyte is developing some good punching power, McDermott is a solid puncher, I'd say this fight probably doesn't go the distance, but McDermott took Tyson Fury ten rounds and Danny Williams twelve rounds on two occasions, so their is a chance the fight goes to the score-cards. So, Whyte Vs McDermott at the end of the year, will this be Whyte's 'coming-out fight'? Or will McDermott upset the odds once again?